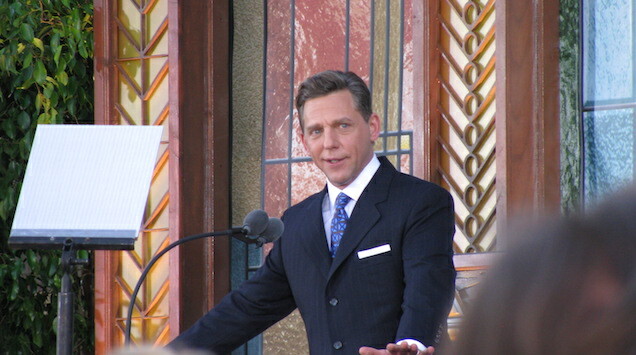 Scientology leader David Miscavige was apparently so paranoid he hired two private detectives to keep tabs on his father and advised them to "not intervene in any way" if the 79-year-old had a heart attack. According to the Los Angeles Times, police records indicate the church paid two detectives $10,000 a week to read the old man's email and tap his phone calls. Miscavige was reportedly worried his father, Ron—who had left Scientology two years prior—might divulge negative information about the church. "When Ron would go to the library to check his emails, they would stand behind him and take pictures of the screen," one report notes. "When he would be eating at a restaurant, they would sit nearby or at his table and listen to his conversations. If Ron was in his vehicle on the phone, they would pull up next to him and monitor his conversation." In 2013, one private detective—Dwayne S. Powell—was arrested in Wisconsin near Ron's home, armed with "two rifles, four handguns, 2,000 rounds of ammunition and a homemade silencer in his rented SUV." Police placed Powell, now 43, under arrest on suspicion of obstruction and in his pockets found a folding knife, a flashlight and his Florida driver's license and private investigator credentials. His Ford Edge also contained two laptop computers, binoculars, a GPS tracking device and a stun gun. Powell initially declined to name his employer. But at the police station, he told Det. Nicholas Pye that he was hired by the Church of Scientology to conduct "full-time" surveillance of the elder Miscavige, now 79, who lived in a nearby town, the records state. But the most cold-hearted detail—by far—allegedly came when Powell spotted Miscavige's father slumped over in what looked like, but turned out not to be, a cardiac arrest. When he asked what to do, "David told him that if it was Ron's time to die, to let him die and not intervene in any way."